Diebold Nixdorf, Incorporated (NYSE: DBD) is a world leader in enabling connected commerce. We automate, digitize and transform the way people bank and shop. Our integrated solutions connect digital and physical channels conveniently, securely and efficiently for millions of consumers every day. As an innovation partner for nearly all of the world’s top 100 financial institutions and a majority of the top 25 global retailers, Diebold Nixdorf delivers unparalleled services and technology that power the daily operations and consumer experience of banks and retailers around the world. The company has a presence in more than 100 countries with approximately 23,000 employees worldwide. Visit www.DieboldNixdorf.com for more information. At Diebold Nixdorf, our research and development focuses on the challenges faced in today’s rapidly changing business environment – while monitoring the emerging trends that will affect your business down the road. Branch Transformation: We provide our customers with solutions and global expertise to deliver the consumer experiences that drive revenue and growth while making the branch network more efficient and differentiated. Consumer-Centric Experience: Change the way consumers experience your brand and create the anytime, anywhere, any touchpoint experience your consumers demand. With proven strategies and a distinctive and expansive portfolio we are helping you to migrate to a consumer-centric organization and create banking services that are seamlessly integrated into your consumers’ daily lives. True Cash Cycle Management: The key to smart cash processes: True cash cycle management encompasses so much more than optimizing cash-in-transit visits. Our comprehensive, end-to-end suite of cash-automation and management solutions recognizes and addresses the broad challenges faced in accurately monitoring and optimizing the cost of cash. Security: Covering everything from endpoint protection, identity and access control, to cash, data and software security and monitoring, our solutions and security experts help prevent, detect and protect against logical attacks, physical attacks and fraudulent techniques. Operational Excellence: Acting as a close, collaborative partner, Diebold Nixdorf provides the process improvements, services and solutions to simplify operations, ensure availability and increase efficiency. So your organization can focus on what it does best: building and maintaining existing relationships with consumers. Digital Innovations: The future lies in all things digital. We are continually building innovative solutions to transform your processes and consumer experience. Be inspired by innovations that drive the future. Discover how we’re driving connected commerce. With more than 150 years of experience, Diebold Nixdorf is an industry-leading provider of services that ensure the optimal performance of self-service networks, branch and IT environments solutions in decentral and central banking and retail environments. Organizations around the world rely on us to keep their self-service networks and transaction technology available, efficient, convenient, secure and compliant. We support your organization’s strategic objectives with industry-leading services that range from analysis, consulting and installation to monitoring, maintenance and multi-vendor solutions. Ready to use solutions, on time and on budget. When it comes to software, financial institutions around the world rely on Diebold Nixdorf more than any other provider. In fact, our flagship software products – multi-vendor application software and monitoring software – are running in more than 25% of the total financial self-service market. Diebold Nixdorf software goes far beyond fulfilling a transaction at an isolated channel. With Vynamic, you have the power to connect the microcosm of a single consumer’s personal experience to the dynamic global payments ecosystem. 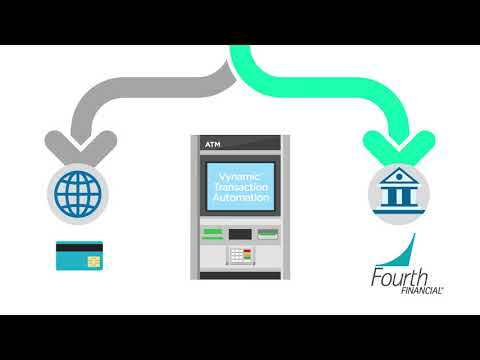 We’ll help you deliver seamless transactions and intuitive, personalized interactions. Transform your business for the future of connected commerce. With the largest portfolio of self-service solutions and a combined installed base of 1 million systems in more than 130 countries, Diebold Nixdorf is the clear leader in the global cash and media systems market. This position enables us to understand the needs and challenges of financial institutions today, and anticipate those of the future as we leverage our IP and expertise in the areas of media handling and security. Our innovative transaction automation enabling solutions help transform your business model to address the emerging needs of consumers in an omnichannel world. Ideal to fulfill basic banking needs for cash access anytime, anywhere, anyhow. Delivered in a simple, compact design through reliable and efficient components. Offer customers round-the-clock, time saving, trusted convenience, while migrating the majority of routine transactions away from the teller line. Cutting costs by creating efficiencies in the cash cycle process through the perfected common recycling technology components found in these systems. Enabling and assisting traditional tellers to improve accuracy, cash cycle process, efficiency and human interaction to transform the branch experience. Redefine the vitality of the branch and expand the transaction set by offering these systems to provide best-in-class account and banking services to print and scan, freeing traditional tellers to focus on other duties. Your branch or store has to deliver new and enhanced functionalities while reducing the total cost of ownership. Yet delivering on new experiences can be overwhelming for internal teams that are already charged with day-to-day responsibilities. With the right partner, your complex hardware and/or software installations can run smoothly, seamlessly and quickly, to match the pace of today’s evolving consumer expectations. What’s your biggest challenge when it comes to managing the universe of tablets, handhelds, payment terminals and more? It's 5 p.m. on a Saturday. Do you know if your ATM network is up and running? Without the proper monitoring tools, you coul dbe missing a lot of information about the health of your self-service devices. Take a peek at the current landscape, and fin dout how your can manage your self-service ecosystem end-to-end and enhance your brand’s integrity. Digitalization is here to stay — we’re a hyper-connected world with more options than ever. But that doesn’t change the fact that physical currency is a top choice of people around the world. From how much there is, to why we love to use it (and how much it costs to move it all around), here’s an inside look at the big, complicated ecosystem of cash. How to Foster Better Consumer Experiences in the Digital Era. Today's consumers are empowered with more information than ever before, which means the bar has never been higher when it comes to brand experiences. With demographics and generational preferences changing, are you putting consumer experience at the heart of the banking experience? The race to prevent fraud is never-ending, and even as new solutions are implemented, work-arounds are being designed. That's certainly been the case when it comes to card skimming at the ATM. Over the years, the bad guys have made their skimmers smaller, smarter and virtually undetectable. And even as EMV compliance makes its way across the United States and around the globe, skimming remains on of the financial industry's most costly problems. The worlds of physical and digital currency are colliding - and in this vastly changing retail banking landscape, there are a number of myths and misconceptions regarding consumer attitudes. Let's look at the facts. From large banks to local credit unions, the Windows® 10 migration offers an opportunity to provide a better consumer experience and future-proof your fleet. Diebold Nixdorf is a strategic, collaborative end-to-end provider of services, software and hardware for the financial and retail industries. Take a look at how we’re driving connected commerce, helping clients around the world meet the needs of the consumer-centric global ecosystem. Changing the way the world connects with their money. Diebold Nixdorf is the global leader in ATM software deployments. Through four customer interviews and data aggregation, Forrester concluded that Diebold Nixdorf’s Marketing at the ATM solution has the following three-year financial impact. Digitization is here to stay – we’re a hyper-connected world with more options than ever. But that doesn’t change the fact that physical currency is a top choice of people around the world. From how much there is, to why we love to use it (and how much it costs to move it all around), here’s an inside look at the big, complicated ecosystem of cash. Want to ensure availability, enhance efficiency and enrich experiences? Download this infographic and learn how to achieve Operational Excellence. Are Self-Service Security Management Services Right for You? Managing a self-service fleet is a HUGE task. Is your security strategy piecemealed? Do you question whether you’re doing enough to protect your fleet and your customers? If so, it’s time to enlist help. Answer the questions below to see if DN AllConnect Managed Security Services could be just what your organization needs. We live in an era that is hallmarked by smartphone use and Internet access. Today’s consumers want options, and they want them now, not tomorrow or next week. Banpará recognized that in order to stay ahead of the curve, they needed to act aggressively to position themselves as a modern financial partner to their consumers. Working in tandem with Saque e Pague, a Brazilian multiple-service self-service network, and Diebold Nixdorf, Banpará created a revolutionary, fi rst-of-its-kind digital bank branch in the popular Shopping Boulevard mall in Belém, Pará. High availability across the entire self-service network is a critical component of delivering positive consumer experiences. Powered by Diebold Nixdorf AllConnectSM Services, our global service infrastructure keeps your assets, equipment and software systems running and up-to-date, regardless of manufacturer. Our focus on continuously improving and maintaining self-service ﬂeet availability and performance means you can focus on continuously delighting your consumers. A key element of success in today’s banking industry is the ability to manage change—anticipating market demands, quickly harmonizing diverse IT landscapes, reducing industry complexities, increasing value, and enhancing your ﬁnancial institution’s image while simultaneously making your costs more efﬁcient. Total Implementation Services, powered by Diebold Nixdorf AllConnectSM Services, offers reliable and scalable implementation solutions based on globally standardized processes and tools, a Single Point of Contact (SPOC) approach, and reliable local expertise. Market factors are pressing ﬁnancial organizations from all sides: low interest rates, complex regulations, new players in the market, changing consumer expectations and much more. Optimizing and transforming your self-service channel for this new reality is critical to continued success. Self-Service Fleet Management, powered by Diebold Nixdorf AllConnectSM Services, provides an experienced single point of contact to remove redundancies and make end-to-end management of your systems and software more efﬁcient and proﬁtable. Digitalization of the ﬁnancial industry is proceeding rapidly. Simultaneously, falling proﬁt margins are putting pressure on branch network operations. Financial institutions are challenged with the overwhelming task of transforming branches to drive efﬁciencies and operate at lower costs, while somehow maintaining and even nurturing consumer relationships. Branch Lifecycle Management, powered by Diebold Nixdorf AllConnectSM Services, provides a holistic, end-to-end suite of services, software and systems solutions that are uniquely tailored to meet the needs of modern ﬁnancial institutions. Managing a self-service delivery channel can be an underestimated responsibility for many Financial Institutions (FIs). FIs are faced with balancing the need for efﬁciency and optimization against the non-negotiable (rising) consumer demand for a personalized and always on self-service experience. FIs know that to compete effectively and grow revenue, they must never miss a moment with each of their consumers. Yet, the reality is that many FIs are faced with scarce resources, a need for rapid innovation and lack of in-house expertise to fulﬁll against this in-demand consumer delivery channel. ATM as a Service, powered by Diebold Nixdorf AllConnectSM Services, shifts the management of your self-service delivery channel to us, giving FIs the opportunity to seize each moment with every consumer. Diebold Nixdorf offers a comprehensive suite of self-service options to meet the diverse needs of a differentiated, global marketplace. Monitor your self-service network the way you want. To better understand the benefits, costs, and risks associated with this investment, Forrester interviewed several customers with years of experience using Diebold’s Marketing at the ATM. Bad timing. Chaos. Wastefulness. Are you troubled by one – or a few – of the common obstacles to achieving True Cash Cycle Management? In this new guide, we’ve compiled the challenges we see all too frequently: The Seven Deadly Sins of Cash Cycle Management. With fraudsters being increasingly more creative at developing attacks on systems, ATM security is now more important than ever before, and unless ATM owners act proactively, they’re going to become the next statistic. This white paper examines the opportunities for financial institutions (FIs) and mobile network operators (MNOs) to generate new revenue streams in the “mobile first” environment, which is becoming a reality in developed and emerging markets. Automated cash recycling is one way to reduce cash-handling challenges, and it can bring significant benefits to financial institutions. Download this guide to conquering cash management costs. Together, the Austrian bank BAWAG P.S.K. and postal service Post AG have created a unique network of tightly integrated branches. Today, customers visiting one of their 500 jointly managed branches have access to both financial and postal services, powered by Diebold Nixdorf’s self-service technology. BBVA Bancomer is reaching more consumers and achieved simple, convenient and cost-effective cash handling. Garanti Bank offers optimum service across all channels – simple and customer friendly. Raiffeisen Bank Serbia is harmonizing and intertwining efficiency, processes and design in its branches. After engaging with more than 750 financial institutions around the world, the Diebold Nixdorf Branch Transformation Team has identified some of the most innovative, transformative ways different regions are making banking better. There’s no longer a debate about whether financial institutions should implement cash recycling systems (CRS) in their branches and ATMs. The question is how to do so. The worlds of physical and digital currency are colliding—and in this vastly changing retail banking landscape, there are a number of myths and misconceptions regarding consumer attitudes. Let’s look at the facts. With a rich, 125-year history in the region, First Citizens National Bank (FCNB) was ready to raise the bar for its consumers. The bank engaged in a strategic branch transformation project that included a de novo branch as well as a rebuild of the highest volume branch in their network. The ATM channel is a vital touchpoint for consumers. Yet in a commissioned global study conducted by Forrester Consulting on behalf of Diebold Nixdorf, a majority of financial institutions (FIs) polled felt in-house management of their self-service fleet was becoming too difficult. Forrester conducted an online global survey of 220 business and IT decision-makers with responsibility for the security and management of ATMs at retail banks. Through this study, we found that businesses are challenged with providing a number of security elements for ATMs and could benefit from having a trusted partner to aid with ATM security. It has been a challenging year for jackpotting attacks on ATMs, with new attack variants appearing and new regions—including the Americas—being affected. If the financial services industry is going to effectively counteract this threat, a better understanding of jackpotting and the importance of holistic, up-to-date defenses are required. You might have seen some of the headlines earlier this year about “jackpotting.” It’s an ATM hacking scheme that prompts ATMs to dispense cash as if they were a Vegas slot machine. It sounds sensational—but it’s a real threat. After becoming prominent in Latin America, Europe and Asia over the past several years, jackpotting has made its way into the United States. And many banks and ATMs around the country are vulnerable. If mobile payments were yesterday, and AI is the future, then biometrics are today. More and more, we’re seeing biometrics being adopted across various platforms to serve a range of different uses, from thumbs unlocking smartphones, to facial recognition-enabled PCs, to voice identification calls. Despite concerns over mass adoption of the technology (mobile payments are still struggling to live up to the hype), the total implementation of biometrics feels very much like a certainty, with experts and consumers alike viewing it as somewhat inevitable, even ‘a long time coming.’ So what will the mainstream adoption of biometrics look like? We've evolved and innovated to meet the ever-changing digital and physical demands of consumers around the globe, and we're committed to helping you evolve as well. As a strategic partner, we'll help you create meaningful, insightful connections with your customers, while also connecting them to what they need most. Whether it's banking or shopping, we're dedicated to driving connected commerce and bringing merchants, bankers, and consumers together. Top experts from Diebold Nixdorf AllConnectSM - Services network share industry trends, experience-based perspectives, critical differentiators and much more. 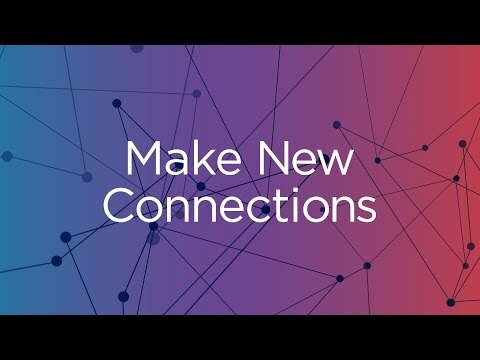 Diebold Nixdorf AllConnectSM - Services powers agile, future-focused business transformation for banks and retail. With 15,000 experts around the globe, we're your partner for everything that comes next. 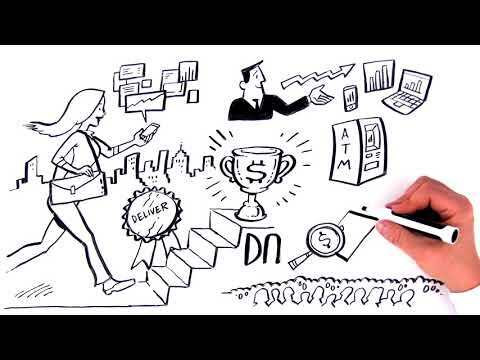 Diebold Nixdorf AllConnect ServicesSM: Your Team. Powered By Ours. Our services capabilities are world-leading. Today we’re making it even easier to meet your business complexities head on with Diebold Nixdorf AllConnectSM - Services for a connected world. Bring the best of "as-a-service" to all your channels to unleash rapid transformation.